So you have uploaded your products to the Products Catalog and you are ready to publish those products to Amazon? Fantastic! 2) In the pop-up that comes up, please select the appropriate Amazon account and country site, and click "CONTINUE". 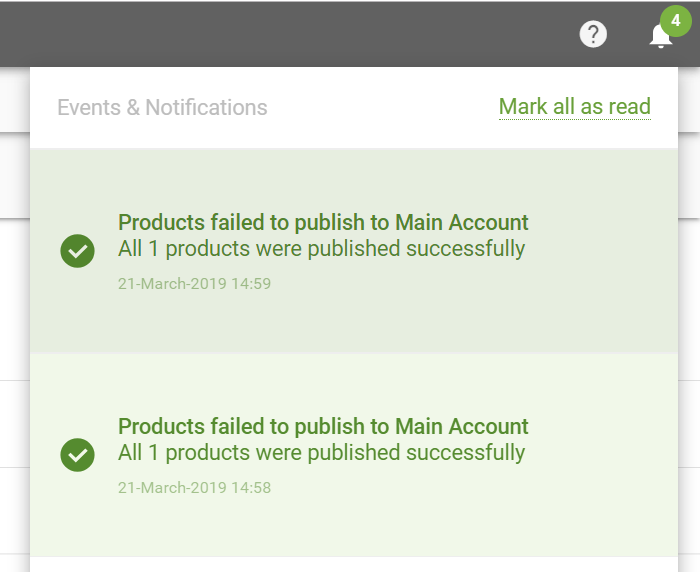 3) You will now arrive at the "Publish setup" page where you will see all of the products that you had selected from the catalog. Here, for each product, you will fill-out/update the required information in order to prepare them as listings. Note the "Status" field on the left-hand side beside each product. If a red circle appears, you can hover on it and it will provide you with a clarification of the issue. Once the information is correct, the status would show a check mark ("✔"). 6) Once you've published your products, you will then be taken to the Amazon Listings page in CrazyLister.